The Celestron SkyQ Link2 is a device that allows to control via WiFi all Celestron computerized mounts. Thanks to the Celestron SkyPortal app, free download from App Store or Google Play store, it's compatible with all iOS or Android devices, turning any smartphone or tablet into a real wireless telescope's mount controller. It allows you to control your telescope without using the hand control unit, which is replaced by the touch srceen display of your device. SkyQ Link 2 is compatible with Celestron computerized mounts. 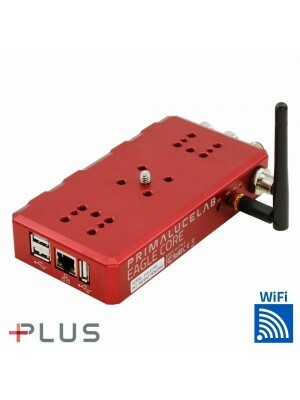 The installation is very simple and does not require any kind of power supply, just connect to the AUX port of the mount. The mounts compatible are: Advanced VX, CG-5 (with compatible cable), CGE Pro, CGEM, CGEM DX, CGX, CPC, LCM, NexStar Evolution, NexStar SLT, NexStar SE and SkyProdigy (no automatic alignment). 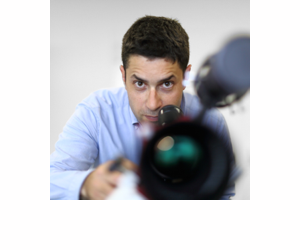 Technical comment by Filippo: "SkyQ Link 2 is not only the best solution to remotely control the mount with WiFi but it's also perfect for EAGLE CORE. In fact you can control telescope position fron one app (like SkyPortal or SkySafari) to align and slew it to the object you want. Then you move to EAGLE CORE app to start autoguiding and images capturing!" Thanks to this device your smartphone or tablet will become a real wireless telescope controller, it will possible do the first alignment of the mount and automatic slew to any celestial object. Thanks at the software you can listen the audio descriptions, providing useful and detailed information in addition to their history. Turns your device and your telescope into a true interactive planetarium, very useful for beginners that take their first steps in astronomical observations. With SkyQ Link 2, connected to EAGLE CORE, you can control many Celestron mount using the SkyPortal or SkySafary planetarium app, you can start autoguiding and capturing with DSLR camera using EAGLE OS software, in order to easily perform astrophotography via WiFi from any iOS or Android smartphone or tablet! 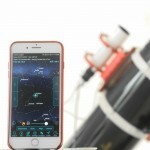 Usually SkyQ Link 2 creates its own WiFi network that you connect to but in this article we'll see how to connect it to EAGLE CORE: this way you can connect your iOS or Android device to EAGLE CORE WiFi and take full wireless control of the telescope that will be easier to use and transport, a perfect instrument for astrophotography.